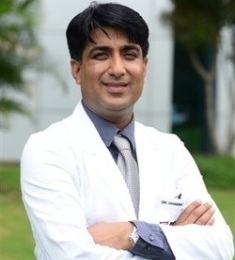 Dr. Rahul Bhargava is one of best haematologist in India. 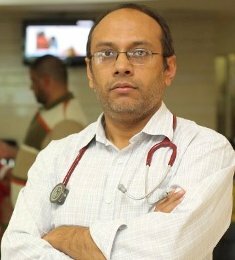 He is very wellknown doctor all over the globe for his excellence in the field of Haematology (Bone Marrow Transplant) . He is trained at Top National (Indian) and International Healthcare Institutions. Dr. Rahul Bhargava did over 100 bone marrow transplants in short span of 2 years after joining Medanta Hospital at Gurgaon. Dr. Rahul Bhargava has done over 300 Transplants at various hospitals in India with an excellent success rate. He is one of the best Haematologist in india for treatment Leukaemia, Lymphoma, Myeloma, Sickle Cell Anaemia & Thalassemia etc. Dr. Rahul Bhargava is also involved in helping and developing haematology facilities in Kenya, Zimbabwe, Uzbekistan, Rwanda, Iraq and Uganda etc. -MBBS – MD from Gandhi Medical college, Bhopal, Madhyapradesh. -In the year 2006 he was selected in India’s premier institute for doing his DM in haematology and stem Cell transplantation. – 1995 – 2004 – (MBBS &MD ) Bhopal, MP. -2005 – 2006 – served as Senior resident in the Dpartment of Haematology and stem cell transplant at CMC Vellore, Chennai. -2006 – 2009 All Indian Institute of Medical Sciences , DM graduate, Capital City, India. -2011 – 2013 – Established first ever stem cell transplantation centre at Medanta Hospital, Gurgaon. -2013 – 2016, Joined Artemis as Director & Head of Haematology, Did the first haploidentical transplant in the City of Gurgaon. Feel free to share your concerns regarding Stem Cell Transplant with Dr. Rahul Bhargava, Email us at care(at)ghnservice.com or Call / WhatsApp at +91 9818857545.